For this round of We ♥ Roleplay we have traveled back in time to the era of Victorian Steampunk adorning the knowledge and tailoring of days past to bring you the perfect accessory to finish off your looks much like the cherry on the top of a sundae complete with a smart pocket watch at the side. 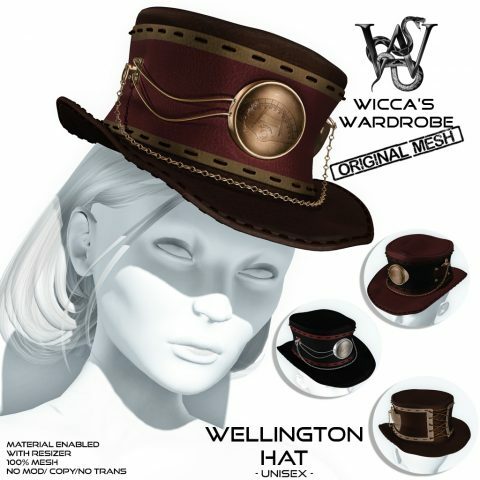 The Wellington Hat is 100% original mesh with a resizer script for easy fitting and created for ladies, gentlemen and those of you who have yet to make up your minds. From the dapper gentleman or eloquent lady to the fashionistas and those who dress up just for fun or everyday this is a must have for your wardrobe just as it is for ours. Today I tried a little mix and match of her latest releases. I started… uncommon with the wonderful “Byron Hat”. 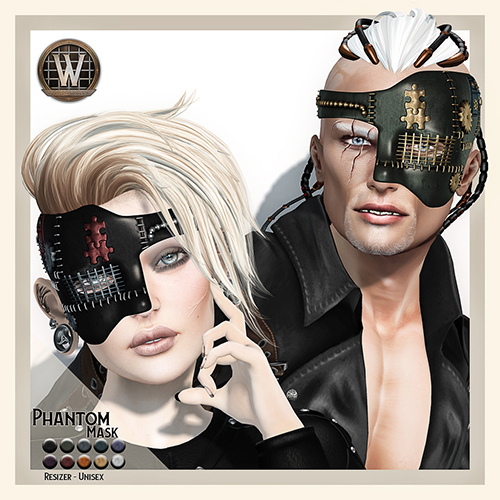 That wonderful unisex hat is available at TLC in May 2015 so hurry to get yours ;). It comes with a HUD to recolor the hat in all pieces to make sure it matches your styling. Since I cannot wear high heels in my RL most of the time, because of the jobs I do, I love them in SL and nearly never wear anything else. But the “Pointy Flats” from Elysium just caught my attention. With the pointy tip they have an elegant character but as well they have a lot of casual with being flat. That made them being the perfect addition for my today’s look. To complete the look I added a color matching jacket from Wicca’s Wardrobe, actually one of our latest releases, the “Charlotte Jacket” in brown.